The word on the street is that the PlayStation Move motion controller could soon be making its way to the PC. John McCutchan of Sony Computer Entertainment America is making a presentation at this year's Game Developers Conference entitled "Update on PlayStation Move Development." That may not sound like riveting stuff to the non-developer crowd but there's something in the description that does bear notice. "This talk will bring developers up to speed on developing for the PlayStation Move controller," it says. 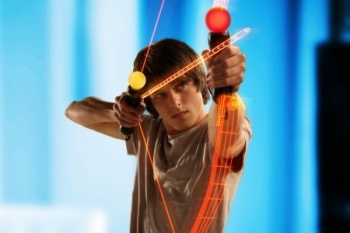 "We will cover developing for the new PlayStation Move Sharp Shooter accessory. We will discuss the new Move Server project that will make it possible for academics and hobbyists to develop software using the PlayStation Move controller on their own PCs." Move on the PC? It's an interesting idea and not entirely beyond belief. Open source drivers have already opened the door to Kinect functionality for PC games while official support at some point in the future has been indirectly confirmed on at least two occasions. The PC market for games may have been overshadows by consoles but the PC market itself is huge, and it's not too terribly surprising that Sony doesn't want to leave the Microsoft fox alone in that chicken coop. McCutchan's talk will take place on the afternoon of March 2, so more details will likely follow shortly thereafter. GDC 2011 runs from February 28 to March 4.